Subscribing to the genre "dance rock," The Great Hiatum endeavor to provide a spectrum of sound from toe-tapping jazzy tunes to raging punk jams. They have evolved a dynamic body of work drawing from each band member’s distinct interests. TGH incorporates electronic beat sampling mixed with live drums, savage guitar licks, high energy grooves, synth effects, and powerful female lead vocals. They offer music that is intended to bring you together, lift you up, and send you away in sweaty bliss. The Great Hiatum was birthed in 2010 out of a collaboration between punk rock bassist Jessy Burris (former Ms. University of Oregon), Melissa Randel (lead singer and PhD student in Molecular Biology), and James Aronoff (Arizona native and guitarist). 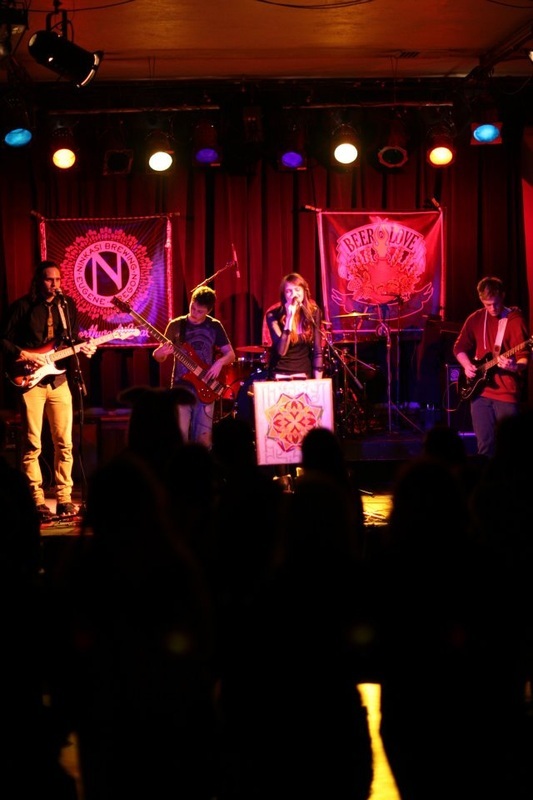 After establishing their unique sound, they enjoyed success at house parties and smaller venues in Eugene, OR until Jessy had to part ways. Soon thereafter Max Miller joined up as a southpaw bassist, drawing his expertise from a dynamic body of electronic, psychedelic, and metal bass mentors. Travis Lien took over on drums, bringing his passion for complex rhythms and double bass pedal dynamics. In 2011, Keith Randel (brother of lead singer Melissa) moved up from California and was added as lead guitarist, bringing his acid rock/funk influences to the ever-evolving sound that encapsulates The Great Hiatum. After building a fan base at local Eugene shows such as WOW Hall, John Henry’s, Luckey’s Cigar Club, and Willamette Valley Music Festival, The Great Hiatum began traveling and participating in competitions throughout Oregon state. They have been recognized in publications ranging from the Eugene Weekly to Ethos Magazine, and are closely affiliated with the popular multimedia firm Telos, which brings together skilled individuals in video production, photography, audio engineering, studio recording, mastering, and journalism. The Great Hiatum has been recently recognized as the Best Student Band by the Oregon Daily Emerald.